1. A half tablespoon of ground flaxseed sprinkled on cereal and salads can help control cholesterol, which can soar during pregnancy and breastfeeding, says Stacy Goldberg, R.N., a nutritional consultant in West Bloomfield, Mich. Credit its fiber, omega-3 fatty acids and phytochemicals called lignans. 2. 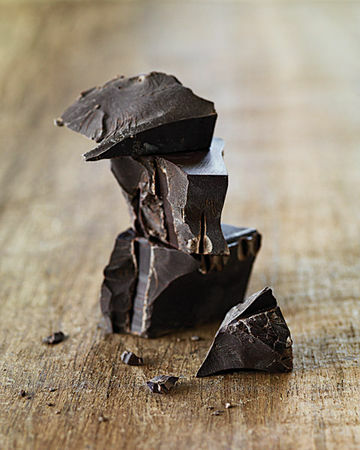 An ounce of high-cocoa content (dark) chocolate several times a week may help prevent high blood pressure (a common problem during pregnancy), studies show. 3. Two tablespoons of sunflower seed butter contain vitamin E to boost your immune system (it's suppressed during pregnancy) and copper to help build baby's red blood cells, says Goldberg. 4. Cooking in castiron pots can add iron to your diet, helping to prevent the anemia that's so common during pregnancy. Want to find out more about eating healthy while you're pregnant? Check out these sophisticated small-plate recipes that are packed with pregnancy nutrients.